iCloud is the perfect cloud-based option for backing up your data! Apple's built-in iCloud service is available for everyone and comes with 5GB of storage for free. With it, you can safely back up your iPhone, iPad, and Mac, keep your photos and videos secure, and make sure you don't lose any of your favorite albums. It's also the easiest way to sync your calendars, reminders, and contacts across all your Apple devices. Though it shouldn't be your only backup method, it's the easiest way to back up all your important data without taking up space on your devices. If you're brand new to the Apple ecosystem, you'll be asked if you'd like to set up a new Apple ID. When you sign up for an Apple ID, you'll automatically receive 5GB of iCloud storage. Your Apple ID is used to sign in and out of your iCloud account. This is the first step to getting all of your important data backed up into Apple's cloud storage service. What iCloud storage plan should you get? Though Apple gives everyone with an Apple ID 5GB of iCloud storage for free, it can quickly be used up by backing up your iPhone or iPad, or storing your music and pictures. If 5GB isn't enough, you can upgrade to a larger plan without breaking the bank. Here's our suggestion for how to find the right tier for your personal needs. Once you've set up your iCloud account and chosen the right storage plan for your needs, you'll want to enable iCloud backups for your iPhone and iPad. When it's enabled, your device will automatically back up data every 24-hours when it is plugged in to a power source and connected to wi-fi. Here's how to set it up. If, for some reason — like you are about to install an iOS update — you want to manually back up your data, you don't have to wait until your iPhone or iPad's scheduled backup time. You can manually trigger a backup at any time. 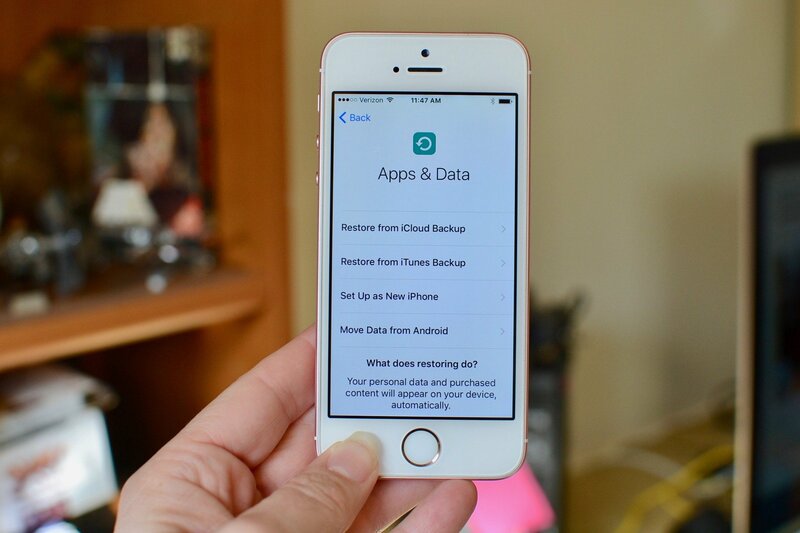 Be sure to do this before making any major changes to your iPhone or iPad to ensure all of your most current data is available from a backup. You may not want every little thing backed up to iCloud. Maybe you only want certain apps to send important data to the cloud, or maybe you want to optimize storage on your iPhone by sending originals to iCloud. You can even delete old iCloud device backups that are taking up space. There are a few different options for managing what is backed up and stored in iCloud. Not only can you back up your important data in iCloud, but you can also sync such content as calendar events, Safari bookmarks, reminders, and app data across all of your Apple devices, including iPhone, iPad, Apple Watch, and Mac. You can manage what content syncs across your devices and what content you'd rather stay put on only one device. There are a number of reasons you might have to restore data on your iPhone or iPad — such as, you're device froze or you erased some important system setting on accident. Luckily, when you've got a good backup plan in place, you can easily restore lost data using iCloud. When it comes time to say goodbye to your old iPhone, either by giving it away, selling it, or recycling it, the single most important thing to do before it leaves your hands is to clean every bit of personal data from it. If you're upgrading to a new iPhone, here's how to wipe your old one before you get rid of it.